Save -The-Date photo cards above is ready to personalize with your photo and save the date details. Select the number of save the date cards from the price list drop down menu and add to cart. 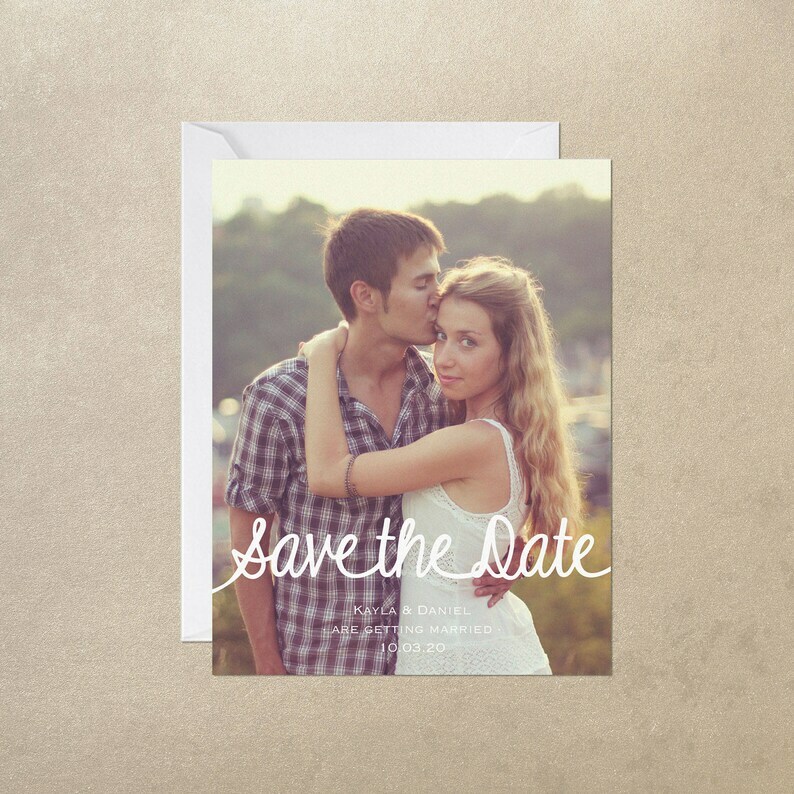 Next - message Aisle Time with your personalized save the date details and photo. You can attach your photo in the message. Once your purchase is confirmed and your details provided, a proof will be created and emailed to you for your review and approval. Production will begin on your save the date photo cards as soon as you approve the proof. Production time: 3 working days after your proof approval.